Momz'Space: JobsForHer>> Network, Get Pampered and Restart your Careers! 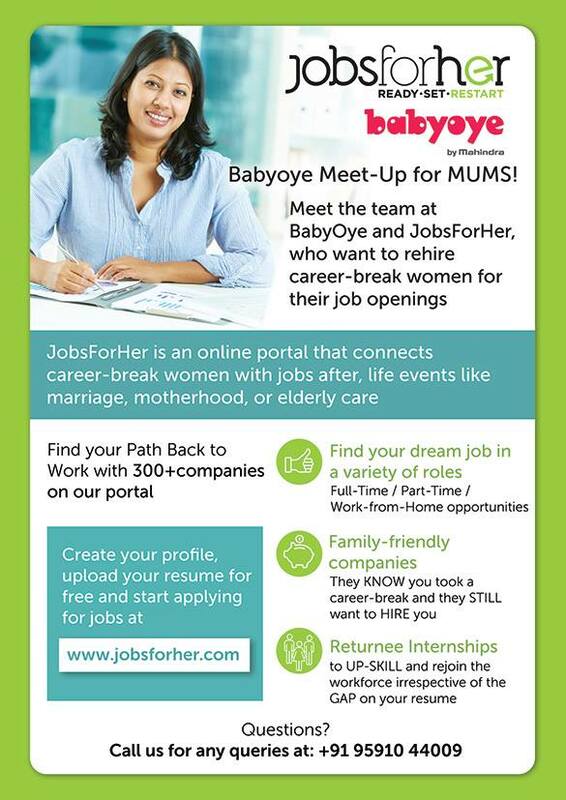 JobsForHer>> Network, Get Pampered and Restart your Careers! Mom here is an opportunity to kick start your career after having self imposed sabbatical. Join me at BabyOye Meet up this Thursday. Below is the invite and if am invited means all of the momzspace mommies are invited too... ! We thought that the Babyoye meet-up may be something you'd like to attend this week! Where: The Babyoye Store, Koramangala. So What are you talented moms waiting for? Put on your shoes and get set to restart your career. 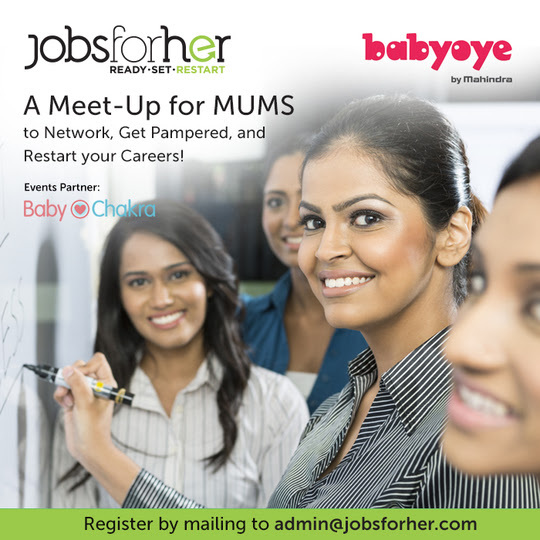 From opportunities of grabbing exciting adn flexible jobs, meet the BAbyOye Team and learn about their workplace for mums, meet JobsForHer Team and take guidance on how to restart your career, get exciting discounts, vouchers and also an opportunity to meet Momstars of BabyChakra!